I give thanks for Family Friendly Gaming being provided a download code for Mini-Games Madness Volume #1 on the Wii U. Technically we received three codes, and gave two of them away on Twitter. 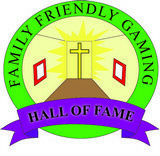 Kicking yourself for not following Family Friendly Gaming on Twitter? Then use this review to correct that, and follow. We share extra codes when they are given to us. 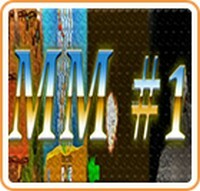 Mini-Games Madness Volume #1 is a downloadable only home console video game with four different games in it. The four games are Mine Farmer, Eels and Ladders, Copter, and Cave Run The Lost Gems Edition. Mine Farmer is where we plant seeds, water, and then collect the fruit/vegetables to earn money. 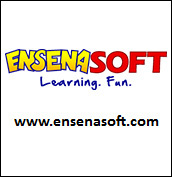 It is a little time management game that families can enjoy without running into any potential issues. 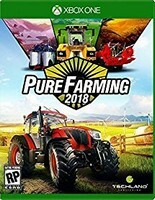 Patience is required to play Mine Farmer since whatever your doing needs to build with the shadow underneath it getting larger, and eventually turning from red to green. Eels and Ladders is like Chutes and Ladders. One or two family members can roll dice, climb the board, and get to the end space. Please note that your roll has to be perfect to get on the end space in Eels and Ladders. Otherwise you wait for your next turn. Copter is like Flappy Bird. The difference is you have a helicopter. Hit and object in Copter and your chopper will explode. Cave Run The Lost Gems Edition is an endless runner. I enjoyed Cave Run The Lost Gems Edition the most out of all of the games in Mini-Games Madness Volume #1. It has character, and plays really well. Plus I could play Cave Run The Lost Gems Edition longer than any of the other games. Mine Farmer being the one exception. Although I never got into Mine Farmer. 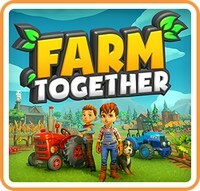 Others here at Family Friendly Gaming enjoyed Mine Farmer. The beauty of Mini-Games Madness Volume #1 is there are four games found within. Sure they have been done before, and even done on the Wii U. Although I am not sure about Eels and Ladders since it is more of a board game. Copter is a bit easier than Flappy Bird. I am under the impression future installations of this franchise will be coming in the future. I look forward to what Skunk Software comes out with next. These are true indie games.